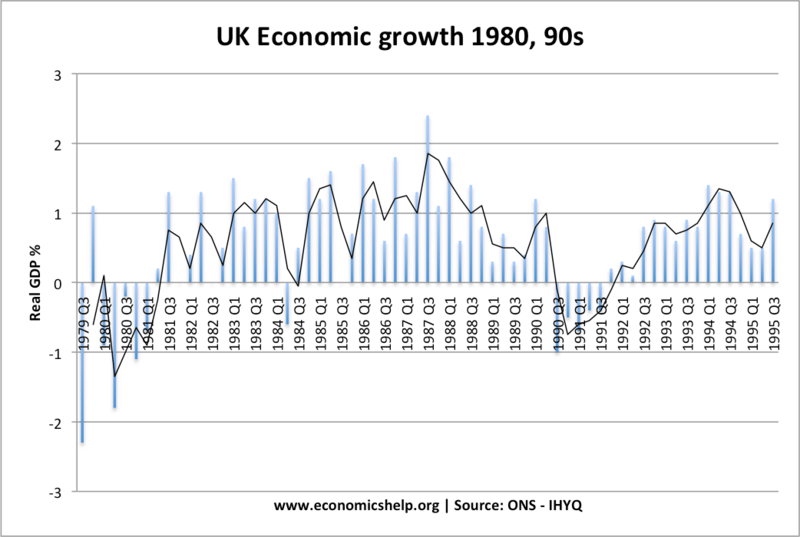 Economic growth – real GDP growth. Current account – satisfactory current account, e.g. low deficit. Measures of well-being – surveys which measure overall living standards. e.g. ONS well-being index. Human development index (HDI) – a measure of economic development. It is a composite index which includes real GDP per capita and also factors such as education, healthcare and environmental factors. In recent years, some economists have suggested we place greater emphasis on measures of well-being and downplay the role of economic growth. Economic growth will always be a very important measure of economic activity. Real wages, labour productivity and investment are closely related as they affect real GDP and vice versa. 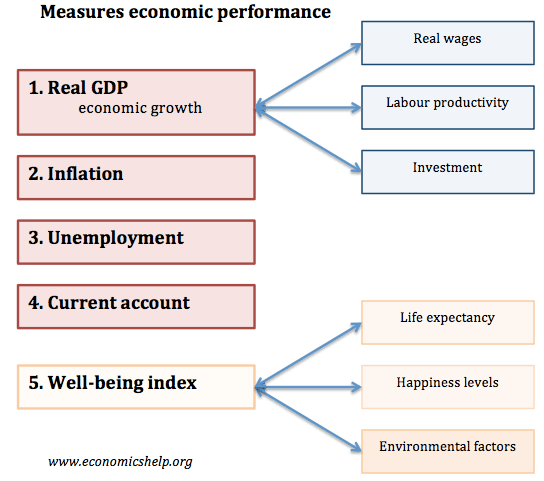 I put well-being index as number 5 to show economic performance could be measured by a wider criteria than just GDP. Economic growth is usually considered to be the most important economic statistic and is frequently used for international comparisons. If there is positive economic growth, then national income is rising, and this should enable higher living standards. 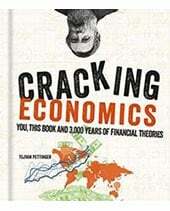 Economic growth usually helps other objectives, such as unemployment, government borrowing and real disposable incomes. This shows the slowdown in Japanese economic growth since the ‘miracle years’ of the 1950s and 1960s. 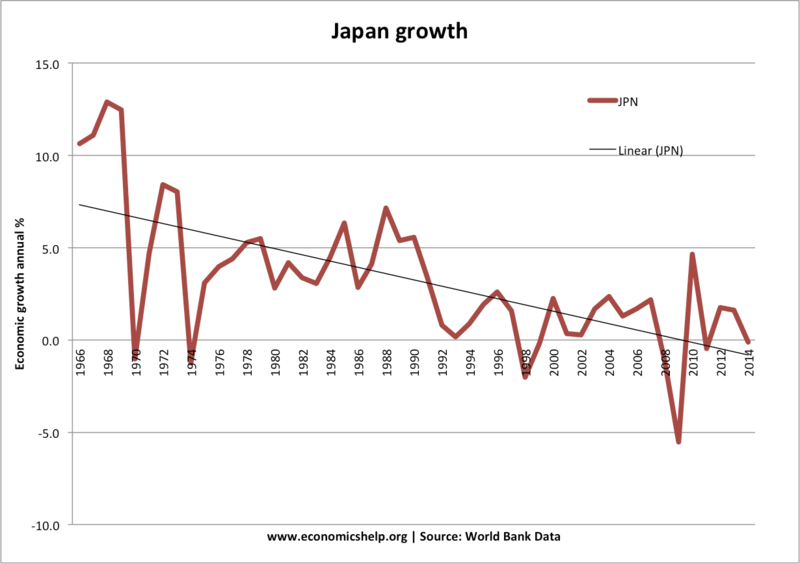 Since the early 1990s, Japan’s economy has struggled to regain former rates of economic growth. This contrasts with China which has seen growth rates of over 8% a year for the past couple of decades. For all its limitations, GDP is widely used across the world. 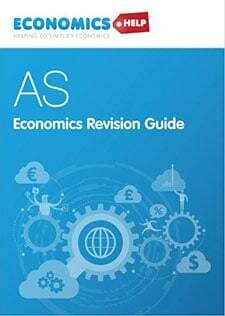 It does give a rough guide to the level of economic activity. A fall in GDP indicates recession and rising GDP indicates growth. 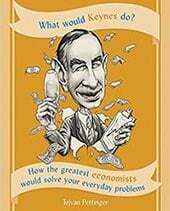 For all its faults, GDP does give a useful guide to the economic cycle and is a useful indicator for monetary policy and fiscal policy. GDP is also measurable – it is objective. Well-being measures which involve surveys become highly subjective. See: Importance of economic growth. Wages falling as a share of GDP. Population growth which meant real GDP per capita grew at a slower rate. Difficult to measure. GDP statistics are often revised. When UK economy went into recession in 2008, GDP statistics took several months to actually indicate the economy was in recession. Real GDP ignores living costs. The UK has had economic growth for past couple of decades, but rising cost of living has meant many people (especially young) are finding it more difficult to live than previous generations. See: Generation rent. GDP is useful as long as people are aware of its limitations. Governments usually have an inflation target of 2%. If inflation rises significantly above 2%, this is a sign of economic problems. The inflation of 2000 and 2012 was due to cost-push factors (rising oil prices, rising import prices); this caused a fall in real wages. The inflation of the late 1980s and 90s, was a sign the economy was over-heating, and the government needed to increase interest rates to reduce inflation – but this caused a subsequent recession. HIgh inflation tends to impose costs on the economy, such as increased uncertainty, less investment and it can harm long-term economic growth. Low inflation is only one aspect of economic performance. An economy may have low inflation due to depressed demand and falling real GDP. 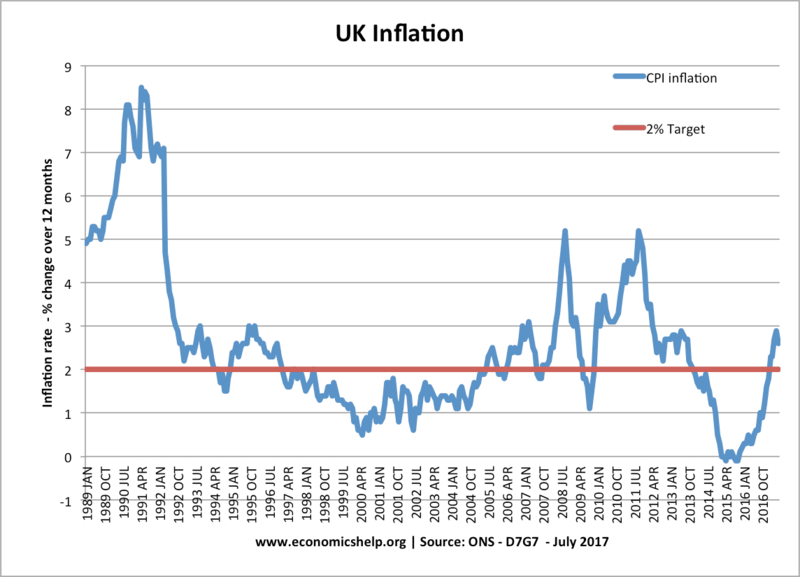 Cost-push inflation (e.g. due to devaluation) tends to be a one-off effect and only temporary. Unemployment is a key measure of performance. A low unemployment rate is a sign the economy is doing well and creating new jobs. Full employment is a major macroeconomic objective. However, even the unemployment statistic can have limitations. 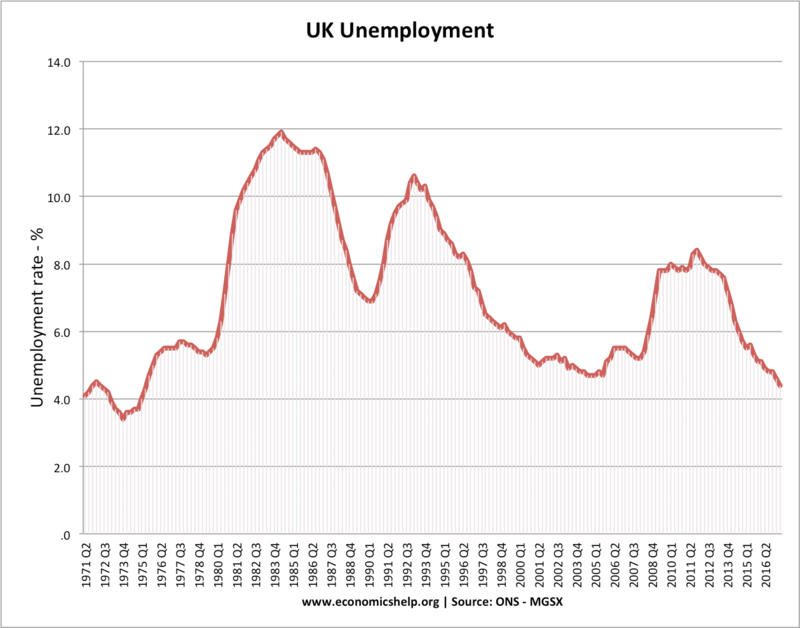 For example, a fall in unemployment may hide a rise in temporary work, part-time work, under-employment and even people leaving the labour market. 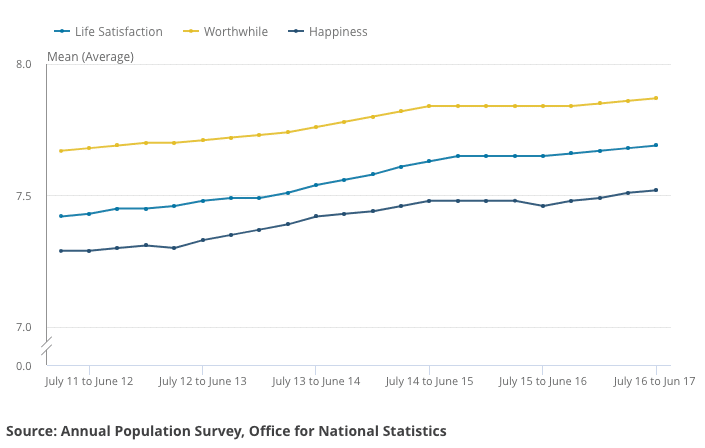 This is a measure of economic well-being and life satisfaction, created by the ONS. It looks at health, relationships, education and skills, what we do, where we live, our finances and the environment. It includes positive data but also includes surveys and questionnaires – it also uses quite a new methodology and is experimental in terms of economic data. The interesting thing is that the well-being index notes a relative improvement between July 2011 to June 2017 – despite a period of ‘austerity’ and stagnant incomes. Usually, real wages are correlated with economic growth – positive economic growth usually leads to positive real wage growth. 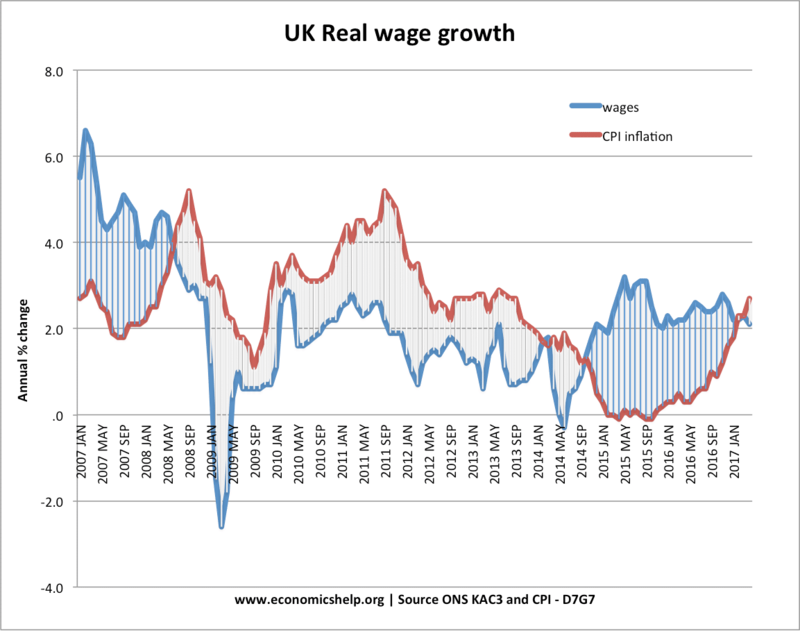 However, this shows in this period, the UK experienced periods of negative real wage growth – despite economic growth. 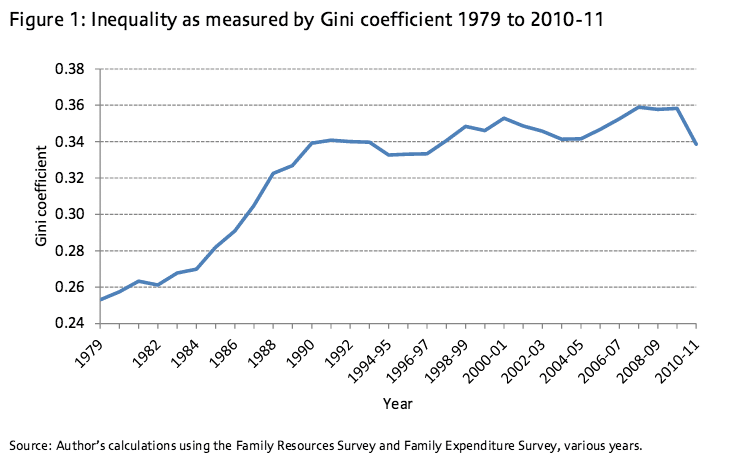 However, rising inequality is not necessarily a bad thing – if everyone is becoming better off. Suggested by the Fabian think tank. Median incomes give a better guide to average incomes of the average person. For example, if the top 1% of income earners see a large increase in incomes, this can push up average wages. But, the typical worker may not be seeing any increase in income. Median wages measure the income of the workers in the 50% income level band. Air quality – Poor air quality can affect living standards. Sustainability of national debt. Tax cuts financed by deficit spending may give an improvement in living standards that is short-lived. But, depends on the circumstances. Levels of personal debt and savings ratio. Strong economic growth in the 2000s, masked a reliance on personal debt, which caused problems in the credit crunch of 2008. Labour productivity An indicator of the long-run trend rate of economic growth. 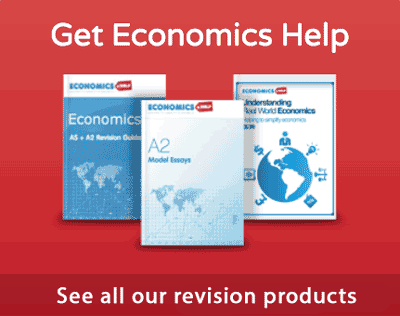 Overall, it is important for economists to look beyond the headline statistics. Real GDP will always be useful for showing the stage in the economic cycle. It is of some use in indicating living standards. But, it is far from the ultimate guide. There is always a need to look at related statistics to give a better overall picture. For example, median real wages, unemployment rates, well-being index. Does GDP measure economic development? 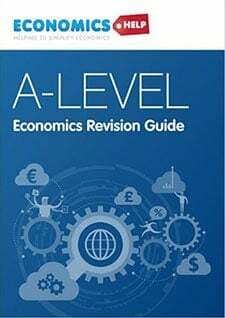 This entry was posted in A-Level, economics and tagged GDP. Bookmark the permalink.